Windham Weaponry is approaching its 2 Year Anniversary – and my how the time flies when you’re busy! From our bare bones start-up crew in May of 2011, we’ve grown to hire 85 employees – many of whom come from extensive AR building backgrounds – bringing literally decades of experience to our product line. 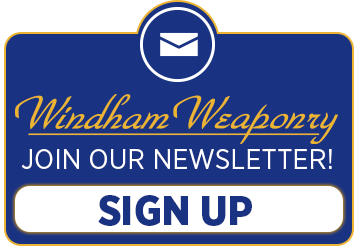 In our Newsletter, you’ll see news items about Windham Weaponry involvement in events and competitions; our gunsmith Erik will bring you illustrated procedures from his “College of AR Knowledge”; we’ll show feature guns and retail products. You’ll see a monthly Question & Answer from Cheryl – our Customer Service Manager, and our Editor, Karen will share feedback letters from a wide variety of WW customers. Our LE Sales Manager, Todd reaches out to the LE community with news, events and new products, and you’ll meet more of our team every month in the Featured Employee section. Don’t forget – May 3rd to 5th we’ll be at the N.R.A. Show (Booth #5013) in Houston, Texas. Its open to the public and we’d love to see you! We will be donating a VEX Rifle to the NRA for their Auction at the Annual Meeting Banquet. Come to Houston – support the NRA – and bid on this fine rifle! to the 18th Annual Superstition Mountain Mystery 3-Gun Match! Windham Weaponry will be a Division Sponsor for this great match. It is hosted by the Rio Salado Sportsman’s Club of Mesa, Arizona on March 22nd, 23rd and 24th. One of the fastest growing shooting sports in the country, a 3-gun match combines rifle, pistol and shotgun shooting of paper, steel, cardboard, and clay pigeon targets. With all those skills pitted against a ticking clock, the competitor who hits the most targets (except those designated as “no shoot”) wins. The number of stages and shooting positions varies with each different match, but its all exciting! So come out for some fun in the Arizona sun, and watch the fast paced competition. Last year the SMM3G had 369 competitors participating, and this year promises to be bigger and better! The following are instructions on how to install a Harris #5 Bipod Adapter and the Bipod on M4 dual heat shield handguards. Separate upper from lower and remove handguards. Cut the forward most heat shield tabs off with wire cutters. Place THE Harris #5 backing plate in handguard as shown with the screw hole lined up with the second vent hole in the handguard. Screw bipod stud into the backing plate and tighten down as shown. Just tighten until snug. Do not over tighten as you may crack the handguard. Unscrew the knurled knob on the bipod until the bipod locking tabs can be pushed through and separated enough to go around the bipod stud. Tighten knurled knob on the bipod. The legs of the bipod should be pointed in the forward direction towards the muzzle. Install the sling swivel provided with the Harris #5 on the bipod as shown. Our Windham Weaponry family is growing. We are pleased to announce that our Customer Service/ Sales Department has grown and we have welcomed Trey Branch as a valued member of our Windham Weaponry team. Trey comes to us with a vast amount of knowledge in the AR platform and has many years’ experience in both production assembly, sales and customer service. What is the difference between your MPC and HBC rifle ? The only difference between the standard MPC rifle and the HBC rifle is the barrel. It’s really a matter of personal preference. The M4 profile is designed to copy the military M4 profile and is lighter. They balance differently and the HBC has a heavier overall weight because of the extra steel. The M4 barrel seems to be the most popular. Outstanding newsletter! The articles are great and very instructive. I look forward to it each month. I purchased a WW-15 from a local dealer here in Houston several months ago and it is an excellent rifle, everything I thought it would be. I used to carry the M-16 while in the Marine Corps years ago and the WW-15 brought back a lot of good memories. I even remembered how to break it down and field strip it for cleaning. Keep up the great work! God Bless America and the 2nd Amendment! Hi again Windham Weaponry, great newsletter again. I enjoy seeing what other enthusiasts are doing. I also really like Erik’s technical advice on basic gunsmith tips. Great section on trigger guard removal. Thanks for your professionalism. Although I am a long time collector and shooter I just bought, as my first AR, one of your entry level SRC models. I have just received my first newsletter and I think it is great. I especially liked the clear and concise way you showed how to change the trigger guard as I plan on putting a larger “glove friendly” one on soon. I also plan on putting a Yankee Hill Machine free floating carbine length forend on soon and would appreciate some help with that. Thanks for keeping your great rifles made in the USA, and for putting out such an informative newsletter. PRICE: $ 119.95 Buy It Now! Comfortable and lightweight, this rifle length stock kit will replace your telestock or standard stock and includes all necessary parts from the receiver back. A neoprene sleeve offers a great cheekweld for lefty or righty, and the sling swivel can be mounted forward ambidextrously or at the bottom of the buttplate frame. A molded rubber buttplate provides recoil absorbing comfort. Windham Weaponry held its second Armorer’s Course this week, again partnering with Charlie and Eric from Academi, the largest private training center in the United States. The 2-day course covers both the AR15 and M16 platforms and upon completion each student receives a 3-year certification. 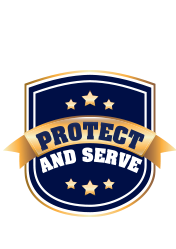 The first course was a huge success, and we will continue to offer it to our Law Enforcement customers. Sue has been part of the Dyke family of companies for over 12 years, starting at Charlie’s on the Causeway as Bar Manager. When Charlie’s shut down for the season in the fall, Sue worked part-time at Bushmaster from 2002 to 2006. When Charlie’s closed, Sue was able to work at Bushmaster full-time, up until they closed their doors in 2011. Knowing what an asset and hard worker Sue is, she was asked to return to join the Windham Weaponry family. She is a caretaker and looks after “the kids”, from making her famous spaghetti sauce and meatballs for the crew, to looking after those who are sick, to laughing out loud – a laugh that is contagious. Her smile and positive attitude keep things upbeat. She is so grateful to be back working with her WW family, and we are certainly grateful to have her! Outside of work, Sue enjoys riding her Harley Wide Glide and spending time with her family and friends. Especially important is her time spent with her granddaughter. She loves to garden and time spent at her sister’s 63-acre farm in Palmyra, where they raise chickens, pigs and cows. She lives in Windham with her husband and their dog, Charlie and cat, PussPuss III.